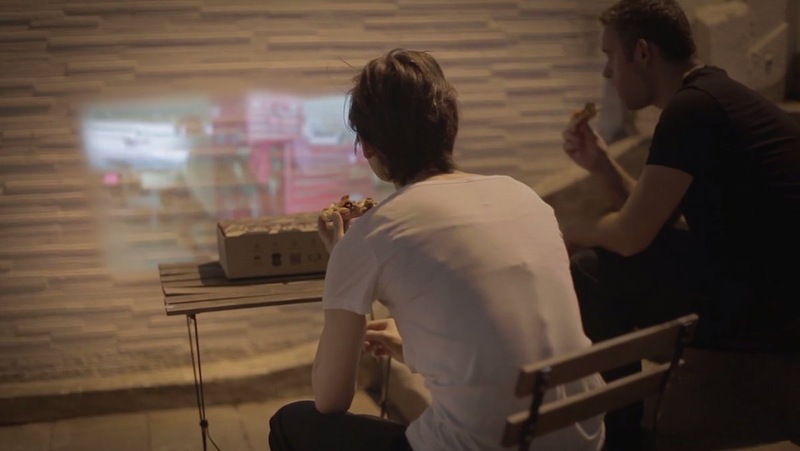 Thinking that movie nights and pizza are a natural fit, Pizza Hut created a new cardboard pizza box that turns into a working movie projector powered by your smartphone. It’s called the “Blockbuster Box,” and it was designed by Ogilvy Hong Kong for a Pizza Hut marketing stunt, according to The Verge. The secret to each Blockbuster Box is the special pizza table that comes inside each box, which helps prevent the center of the box from touching your pizza and is traditionally made of plastic. The pizza table inside the special Blockbuster Boxes features a lens as part of the design, however, which you can insert into the side of the box after you punch out the perforated hole. Once you’ve inserted the lens into the side of the pizza box, you’ll then need a smartphone to power the experience. Placing your smartphone in the center of the Blockbuster Box, the lens will magnify your smartphone’s display and project it onto the wall. If you don’t have Netflix, Pizza Hut has cleverly printed a QR code on each box that you can scan with your smartphone to download a free movie. There’s four different styles of Blockbuster Box, with each corresponding to the genre of the free movie that comes with it: There’s the Fully Loaded box for action movies, Slice Night for scary movies, Hot & Ready for your romance, and Anchovy Armageddon for your sci-fi fans. Of course, the Blockbuster Box is far cry from the modern projectors we’re all used to, but it comes free with your pizza. You’ll also probably want to have some Bluetooth speakers or a spare audio cable handy if you want to actually hear the movie, as your smartphone will be inside the box when the projector is in use. 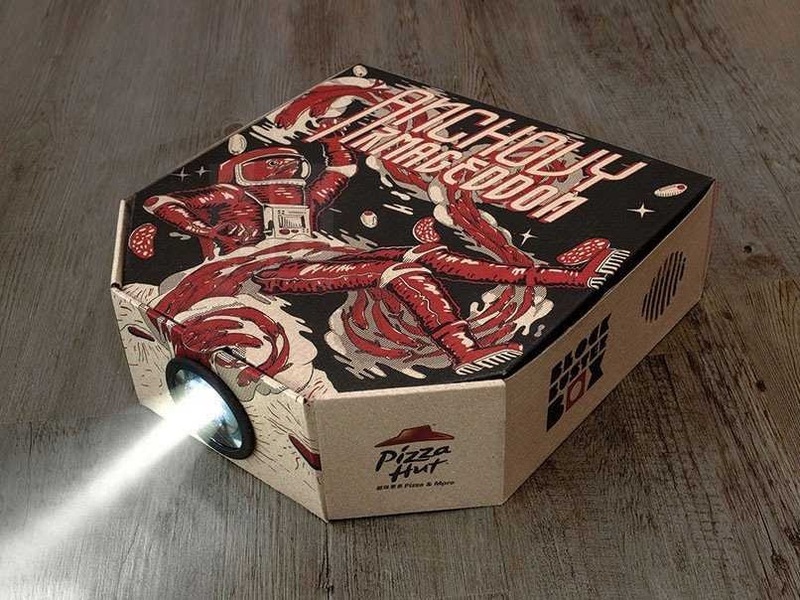 Pizza Hut is limiting the launch of the Blockbuster Box to select Hong Kong stores for now, so unfortunately we’ll have to wait and see if Pizza Hut decides to offer its special boxes in other countries. Posted on June 9, 2015, in #international, #retail. Bookmark the permalink. Leave a comment.